Donna Belle Ferrer is ready to live her vows. Donna Belle Ferrer made her first profession as a Sister of the Good Samaritan earlier this month and is looking forward with “readiness” to living her vows faithfully. Donna, aged 35, first heard about the Good Samaritan Sisters during her exposure stage with the Society of Foreign Mission (Société des Missions-Étrangères du Québec – SME), a lay missionary movement in the Philippines. It was during her time becoming as a lay missionary, that Donna felt a deeper calling to religious life. Donna first met Sister Maree Nash in 2012, who was living in Bacolod at the time, before being appointed as the Novice Director in Australia. After a few information sessions with Maree, Sister Eiko Mukae, became Donna’s accompanying sister for the initial stage of inquiry. Following this period of inquiry, Donna was certain she was ready for a religious life, however her family circumstances meant she had to return home to help care for her dying father. “My family and my father, who was very sick, needed me at home, so we decided I would wait before entering the congregation,” Donna said. In 2015, following the death of her father, Donna entered the congregation living in community as a pre-novice, while working as a guidance counselor at St Scholastica’s Academy-Bacolod, run by the Missionary Sisters of Tutzing. 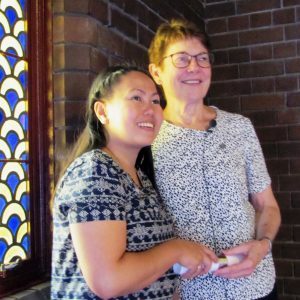 After a year as a pre-novice, she travelled to Australia for her formation at the novitiate community in Lawson in the Blue Mountains west of Sydney. After two years of novitiate formation, which includes a study program and living the rhythm of community life, Donna has experienced the life of prayer she was so strongly called to during her lay missionary work. “I love praying my personal prayer. I feel like I am having a date with God. Talking to God face-to-face without pretensions, opening the ears of my heart to the Word of God speaking to me. It makes me fall in love with God again and again,” Donna said. “I was thinking about this kind of prayer when I was with the SME, thinking I can still be with them and continue my prayer life, but praying with a community is strong and powerful for me as well. Donna with Congregational Leader Patty Fawkner SGS. Donna made her first profession on Saturday 6 April at St Scholastica’s Chapel, Glebe during Mass celebrated by the Parish Priest of Our Lady of the Nativity Lawson, Father Paul Slyney. 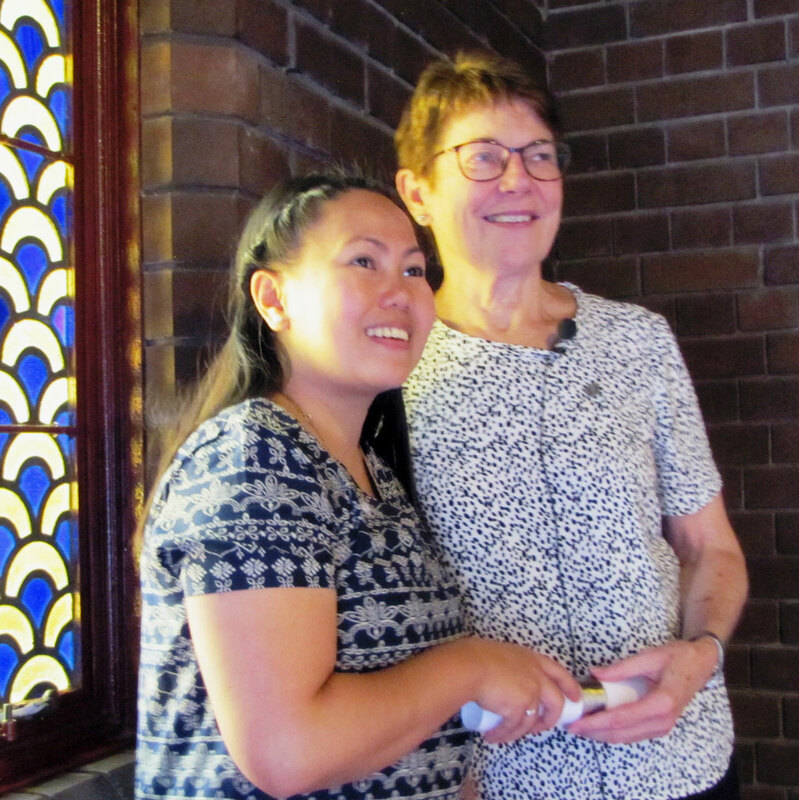 Reflecting on first meeting Donna in the Philippines in 2012, and now accompanying her to her first profession, Maree said the journey she has taken has been significant. 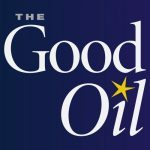 Speaking to The Good Oil on the eve of her profession, Donna was excited and a little nervous about making her first vows, joined by some of her family who she hasn’t seen for a year – her mother, Ma. Jolly Ann, her sister, Jennybelle, and brother-in-law, Edward Sillador – as well as some of the Good Samaritan Sisters, oblates and partners in ministries. Donna will soon return to the Philippines to continue her discernment, explore ministry opportunities and study, taking her place in the congregation’s life and ministry.